• Do you have gum disease? • Do you feel anxious thinking about the procedures associated with dental treatments? • Do you cringe at the thought of having needles, blades and drills in your mouth? • Do you hate how anesthetics make you feel? If you answered “yes” to any of these questions, you’ll be happy to learn that Adult Dentistry of Ballantyne now offers laser dentistry. Dr. Robert Harrell, who is rated one of the top dentists in Charlotte year after year, uses laser technology for dental treatments that, in the past, would have required the invasive use of needles, drills and blades. Laser treatment allows us to work with superior accuracy and speed. Another benefit of using laser dentistry is the comfort it offers our patients. 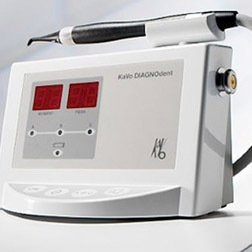 In most cases, laser dentistry is a pain-free experience without the use of anesthetics. A significant benefit of laser dentistry is the reduction in pain and anxiety. For example, gum disease treatment through conventional means has an unacceptably high risk of relapse. With laser dentistry, the treatments are more thorough for scaling, root planing and deep cleaning, which reduces the chances of relapse significantly. For hard tissue treatments, such as correcting misshapen teeth or etching the tooth surface in preparation for a procedure, laser dentistry is a much better alternative to conventional methods. 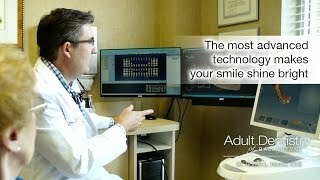 Our advanced tools and techniques, including Laser Dentistry, mean a better patient experience for you.